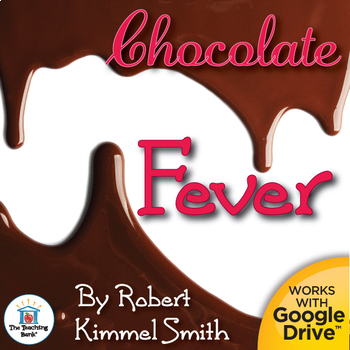 Chocolate Fever Novel Unit is a Common Core Standard aligned book study to be used with Chocolate Fever by Robert Kimmel Smith. 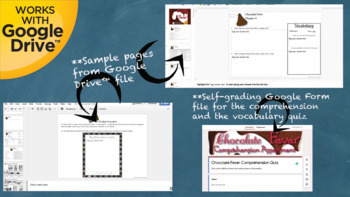 This download contains both a printable format as well as a Google Drive™ compatible format. •Vocabulary activities for 10 words. •Extension activities that correlate with the book. **Only available in this complete Novel Study Product! 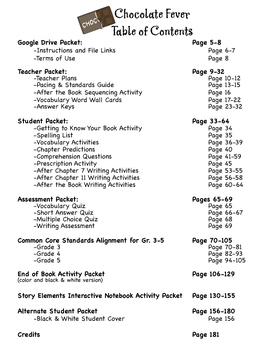 ←Please download the free preview to see sample pages of all parts of this unit as well as the complete CCSS alignment checklist (36 pages) for grades 3-5 in its entirety. Please email with any questions you may have! 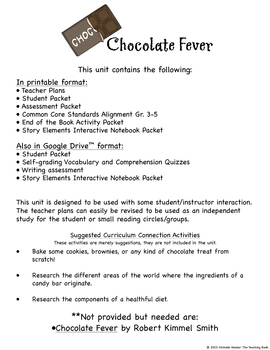 • Charlie and the Chocolate Factory Novel Unit~Common Core Aligned!